Commercial production at the company’s first North American facility is scheduled to begin in 2020, but the factory has already created significant positive economic impact for the community. 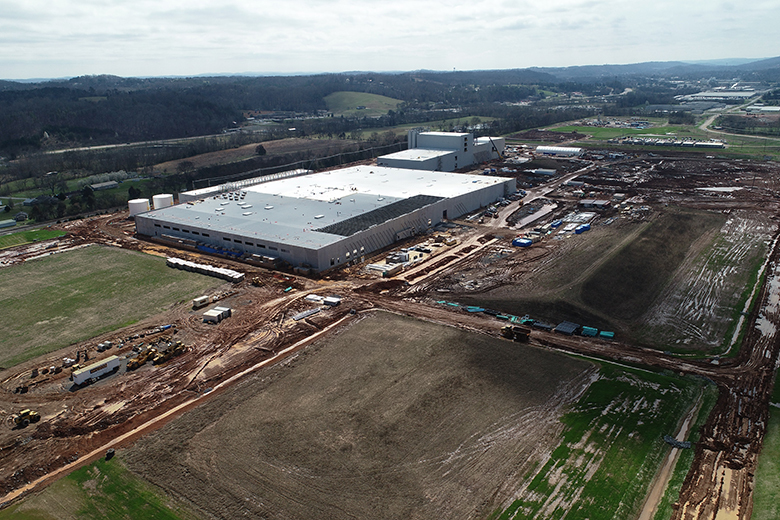 DAYTON, Tenn. – Eighteen months ago, a group of state and local leaders gathered to celebrate the groundbreaking of Nokian Tyres’ production factory in Dayton, Tennessee. The Scandinavian tire company explained that the Dayton Factory – its first facility in North America – was the epicenter of its growth strategy in the region, while the community exulted in the jobs and growth it would create. Today, as the facility takes shape and the company hires workers to staff it, it’s interesting to look back at how far the factory has come in such a short time. It’s a story of transformation – not just of a building or a business, but of the Rhea County community itself. The public first became aware of the plant in May 2017, when the company joined state and local officials to announce the $360 million facility, its third global production factory and first in North America. While a groundbreaking celebration took place in September of 2017, full-scale construction began in earnest last March, just one year ago. Soon thereafter, observant passers-by would have seen the structure starting to rise from the Southeast Tennessee dirt. By July, construction teams had erected the first wall and laid the foundation of the production building, using more than 6,000 cubic yards of concrete in the process. In December, contractors began installing the high-tech equipment that will craft some of the safest, most eco-friendly tires in the world. Today, equipment installation continues at a robust pace as teams put the finishing touches on the production and mixing buildings. The mixing silos are complete and ready to house raw materials when the production process begins. And contractors are preparing to connect utilities to major areas of the facility. Commercial tire production remains on schedule to begin in 2020. In the meantime, Nokian Tyres is busy hiring and training the workers who will participate in the production ramp-up process. The construction project has been a boon to the local economy in the short term, say local officials. Lodging tax collections have grown by 11.7 percent since the company began construction, according to Tumlin. Local option sales tax receipts are up 7.24 percent. For more information about Nokian Tyres’ Dayton Factory or to apply for jobs there, interested parties can visit NokianTires.com/DaytonFactory.